Organizations that invest in employee experience are more productive, valuable, attractive, innovative, profitable, and have superior stock performance than those who don't. These "Experiential Organizations" crush the competition in every metric. Backed by an extensive research project that looked at over 150 studies and articles, featured extensive interviews with over 150 executives, and analyzed over 250 global organizations, this book clearly breaks down the three environments that make up every single employee experience at every organization around the world (culture, technology, and physical space), how to design for them, and what the tangible ROI is. 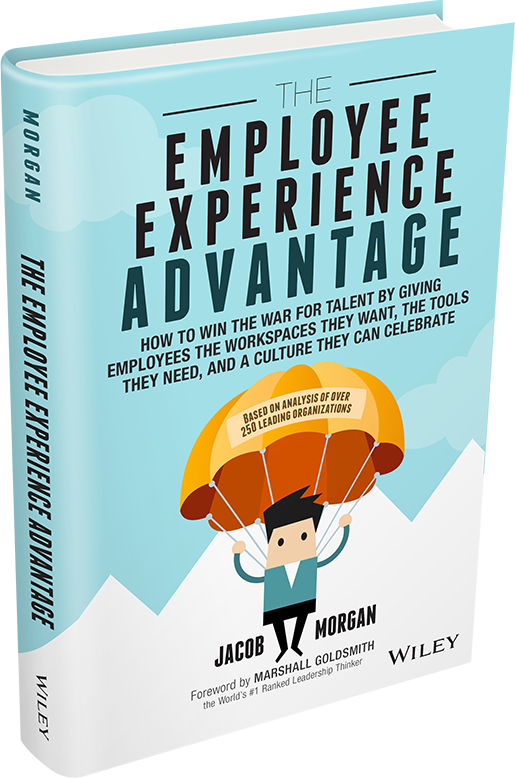 Filled with case studies, examples, and frameworks, The Employee Experience Advantage guides readers on a journey of creating a place where people actually want to show up to work. "Every few years a book comes along that will make you think differently about how you design your organization and treat your people. This is one of those books." "Jacob's book shares case studies, research and unique models to demonstrate the incredible value of building amazing teams and transforming how work is done to positively impact business results." "An inspiring, thoughtful and practical book." The Future of Work is all about challenging convention around work. It explores and answers several questions such as: How is the world of work changing and what are the trends driving that change? How are these changes impacting the way employees work, the way managers lead, and how organizations are structured? What needs to be done to adapt to these changes? The future of work breaks down specific principles for employees, managers, and organizations to adopt in order to stay relevant and competitive in a rapidly changing world. Readers will find valuable examples, research, and unique visuals created specifically for this book. The Future of Work has been endorsed by the world’s top business leaders such as the CEO of KPMG, CEO of SAP, CEO of Intuit, CEO of Whirlpool, CEO of Schneider Electric, CEO of Mandalay Entertainment, CEO of PARC, CEO of Zappos, Dan Pink, and Gary Hamel. "The Future of Work provides valuable insights that will help organizations seize opportunities in this rapidly changing landscape, transforming a possible vulnerability into a competitive strength." "It's impossible to read this book and not see the great risks of the status quo." 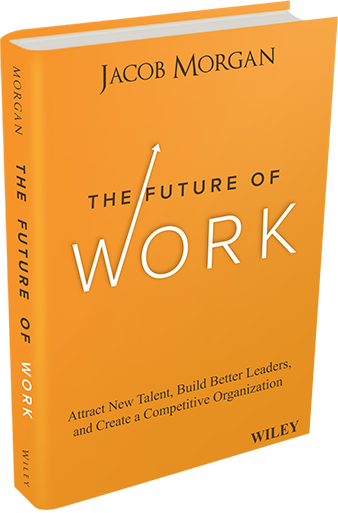 "The Future of Work provides a structured framework and key principles to help organizations of today chart a path to success for tomorrow." 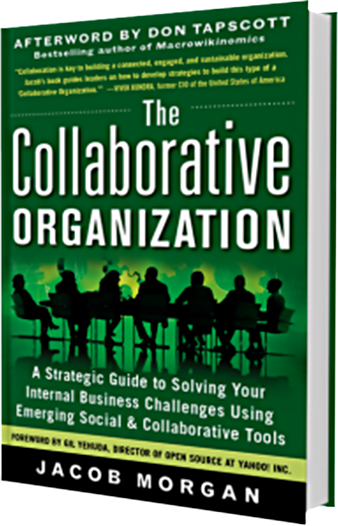 The Collaborative Organization it the first and only comprehensive strategy guide to enterprise/social collaboration in the workplace. It features over 300 pages of content covering topics such as developing and mapping use cases, selecting collaboration vendors, full strategy development, ROI, employee adoption, how to structure a collaboration team, and everything else you would need and want to build out a full-scale collaboration initiative. The Collaborative Organization features data from an in-depth research project conducted by Chess Media Group as well as pioneering models and concepts around collaboration. The book was endorsed by business leaders such as the CEO of Unisys, CIO of the USA, CMO of Dell, Chair of the MIT Sloan Management Review, Founder and CEO of Craigslist, and many others. The afterword was written by Don Tapscott. "A valuable strategic guide for organizations looking to tap the power of new social and collaborative tools to create more connected, engaged, and successful organizations." "Most business leaders understand how critical collaborative tools are to the success of their companies. What they need now is a guide based on hard data and practical experiences that shows how to put those tools to work. Morgan fills that need with this book."